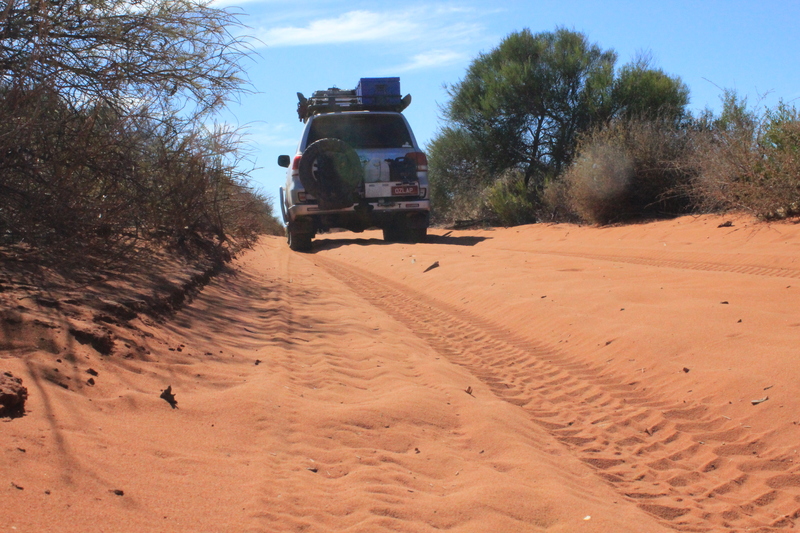 When we left Kalbarri we decided to ‘wait out’ Easter at a station stay we had discovered called Murchison Off Road Adventures, about 130km north east, inland off the highway. We arrived just before lunch and quite frankly were not impressed, the toilets were covered in filth and when we were told to head out and find a camp spot along the Murchison River, we were also informed that the ‘permanant water hole’ that was advertised on their website was not actually permanent…….. To add insult to injury in regards to the free pony rides and $35 horse rides that were also advertised on the website, we were told that if we found the horses out in the bush, could we bring them in so we could ride them………..
Disillusioned, we still went out and found a campsite, set up and spent the rest of the afternoon losing our body weight in sweat whilst being inundated with flies, sadly with no relief in sight with another 4 days of 35+ forecast over Easter. 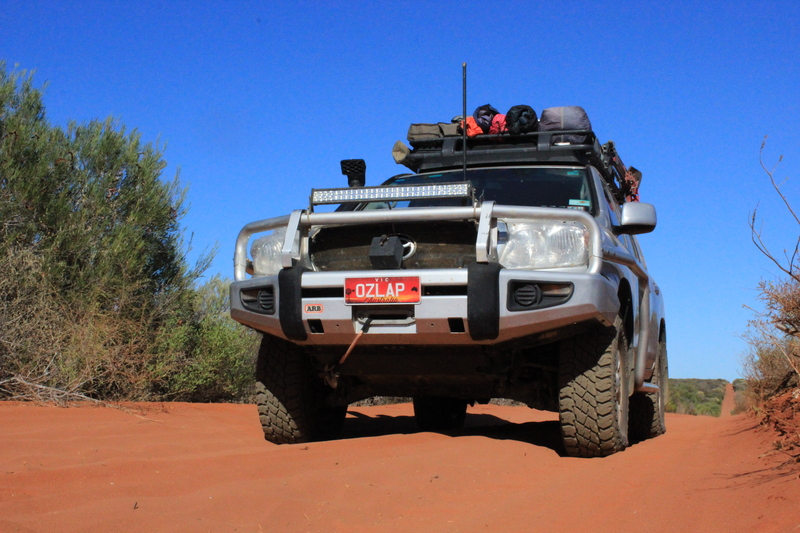 I was definately not impressed, so after being a very grumpy camper that afternoon, evening and night, the next morning we got up with the hum of the flies outside and decided to pack up and head out, trying our luck for a campspot further up north at Hamelin Station. 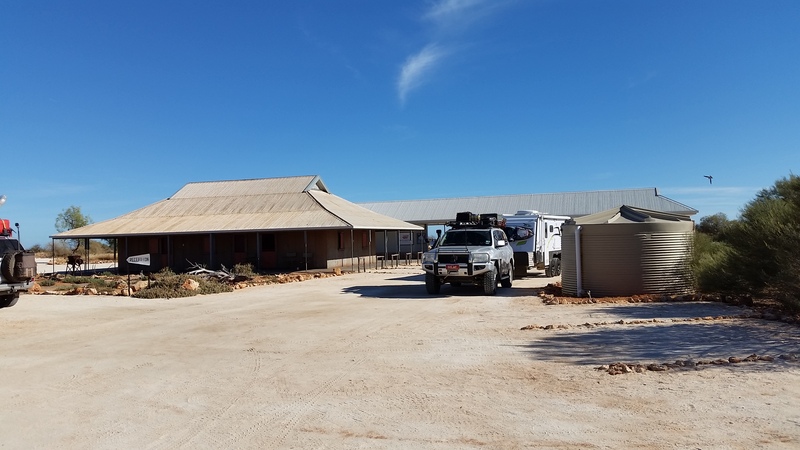 We arrived at Hamelin Station just after lunch and thankfully found it to be not busy at all, we had the pick of about 25 sites and also state of the art amenities. We were more than pleased with our decision!! 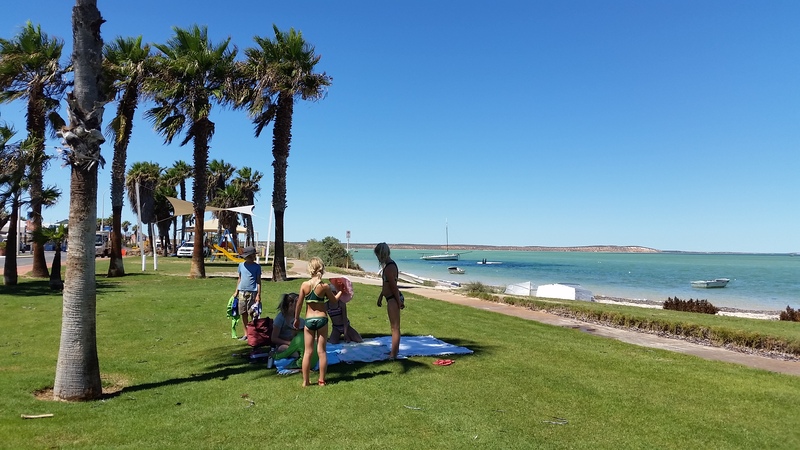 So after setting up we headed down to the awesome camp kitchen and met some fellow long term travellers from Brisbane, ‘the Mols’ and their 3 gorgeous girls, it didn’t take long for the tribe of girls to get to know each other and they were off playing, as us adults chatted the afternoon away. Hamelin Station is a great place, originally a sheep and goat station, it is now owned by Bush Heritage Australia, ‘ a leading conservation organisation, that protects millions of heactares of natural bush around Australia.’ They have many reserves and partnerships around Australia, and here at Hamelin Station, incorporating the camping and accomodation side into the reserve is a fantastic idea and has been done superbly!!! 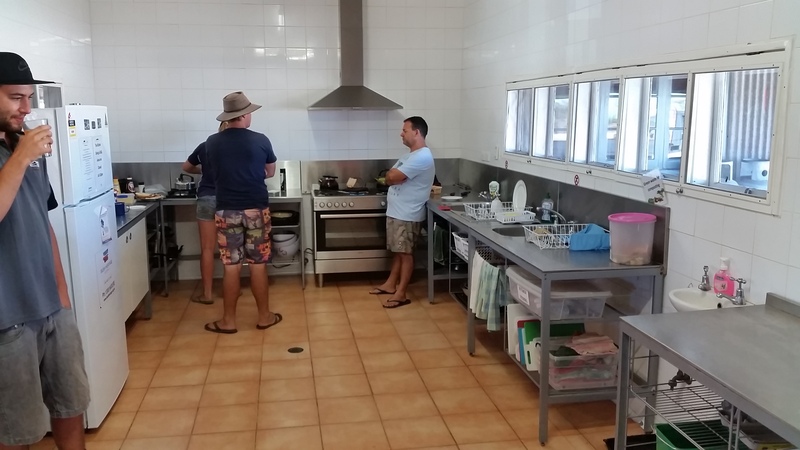 Camp Kitchen at Hamelin Station. 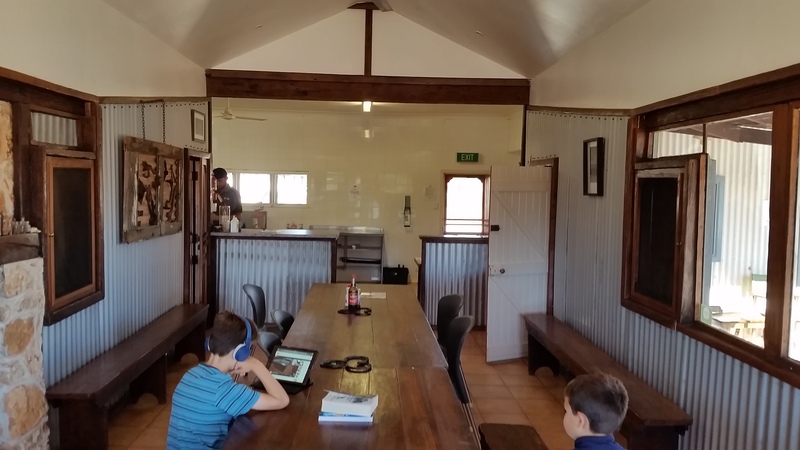 Inside camp kitchen at Hamelin Station. Inside eating area at Hamelin Station. 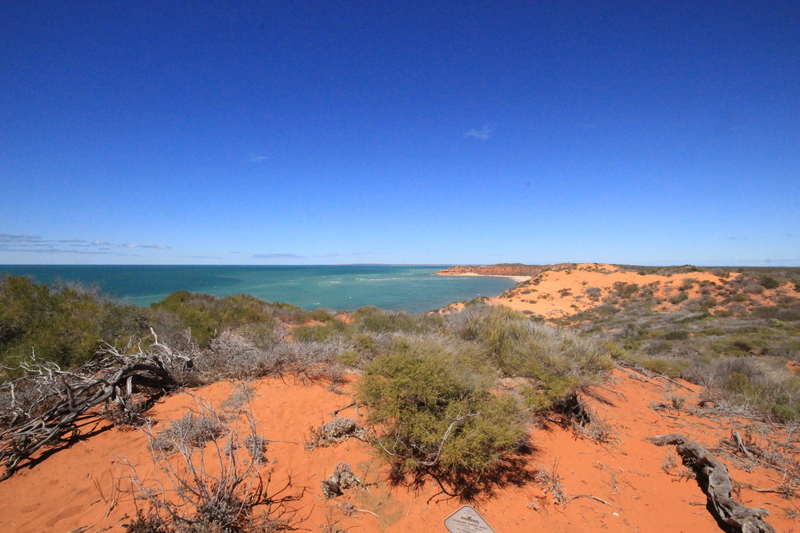 Our next day we headed out for a bit of an explore heading to the stromatalites nearby in Hamelin Pool, which were over 3500 millions years old and very interesting to look at. 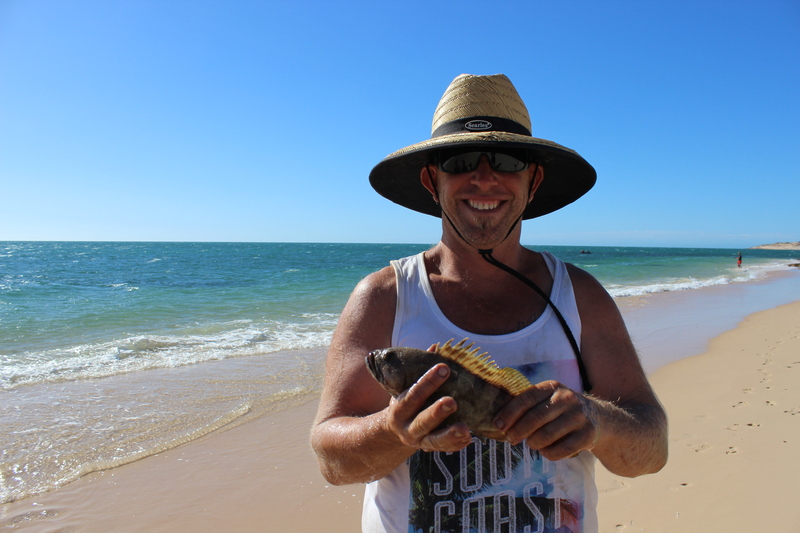 From there we headed to Nanga Resort for a sticky beak, not what we expected as it was a bit old and run down, however we still had a swim and a fish. 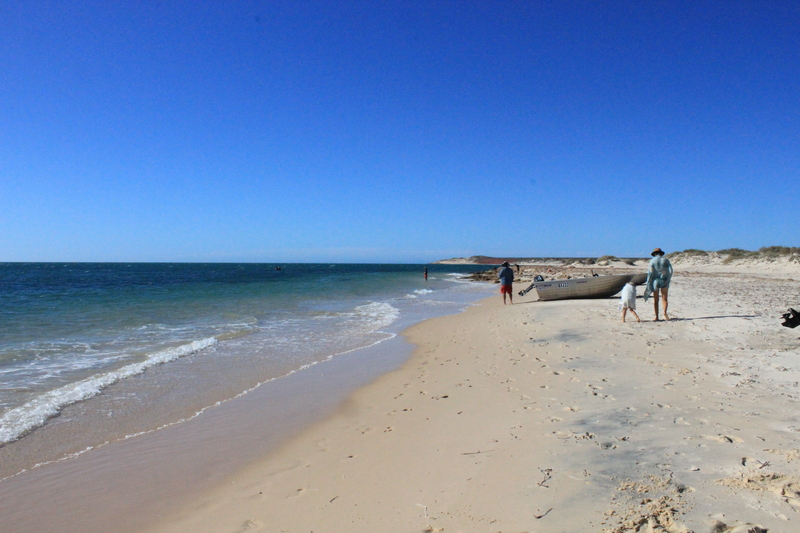 After Nanga we headed to Shell Beach to collect shells and wander around, along with quite a few other people as it was Good Friday. Abs and Jess at Shell Beach. 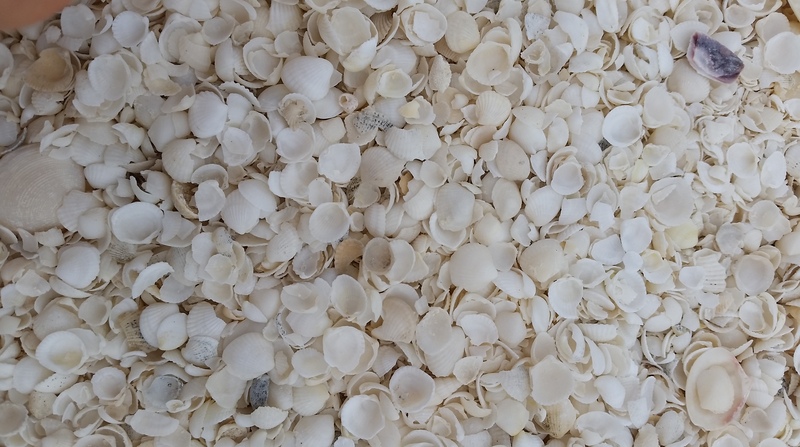 The stars of the show, the shells of Shell Beach. 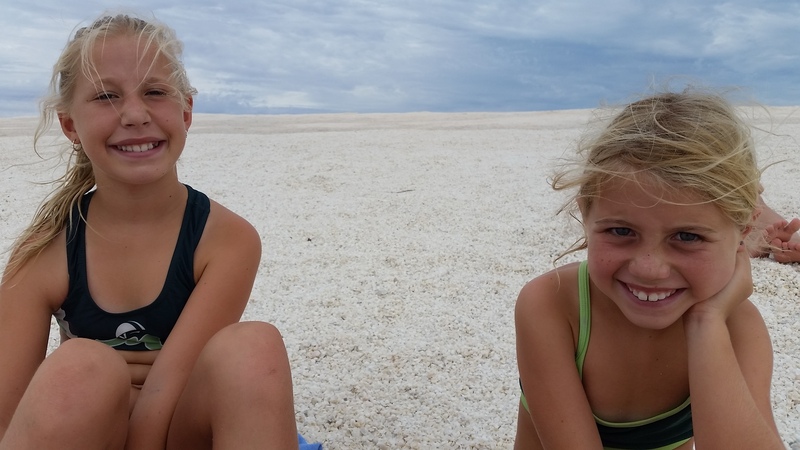 After a day hanging around camp finishing off term 1 schoolwork, laundry and repacking the car we headed off with our mates, the Leeds, towards Denham and ultimately Francois Peron National Park for a few day of camping without the caravan. 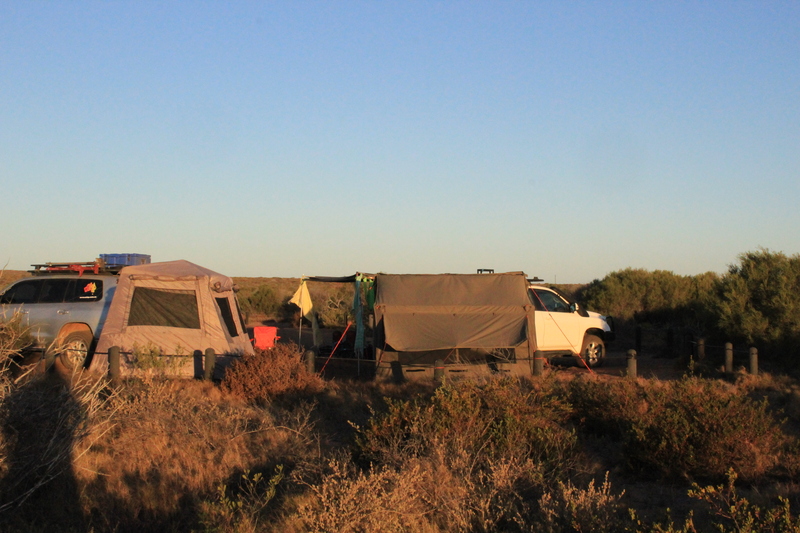 We had decided to spend 2 nights camping out at Francois Peron National so we were well stocked with plenty of food and water!! 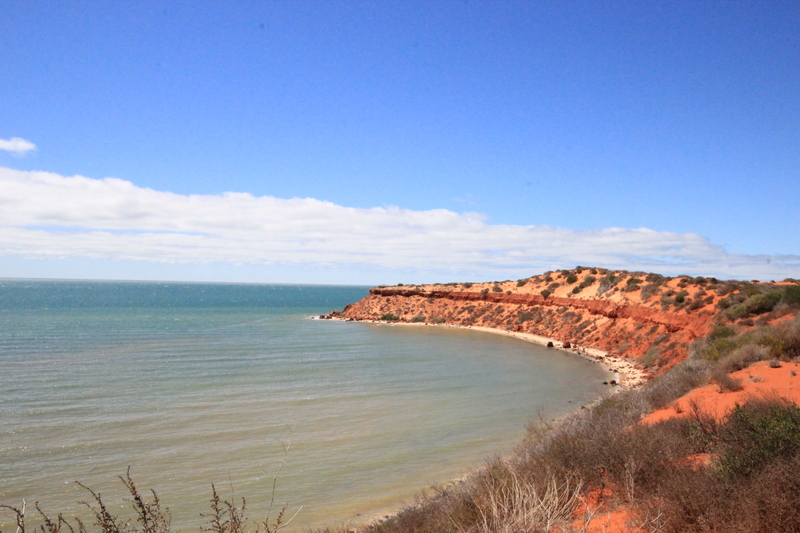 Francois Peron National Park is located within the Shark Bay World Heritage area, only a stones throw from Denham along the road towards Monkey Mia. 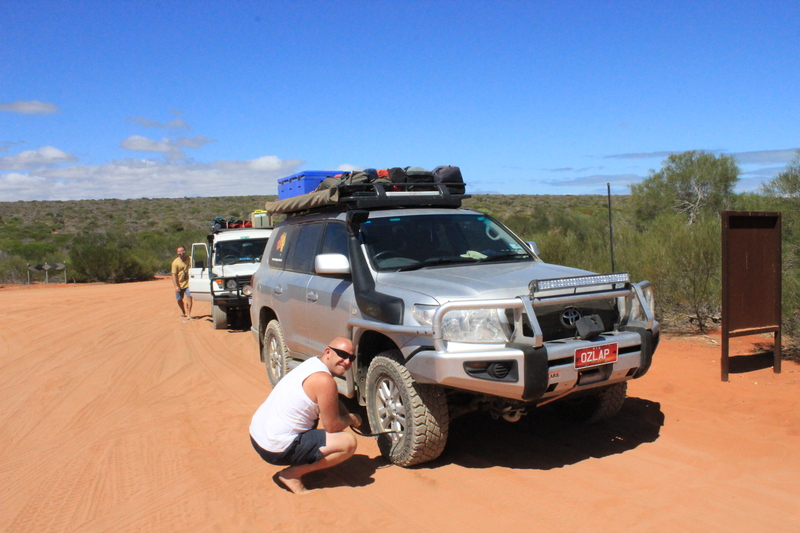 As we drove along the gravel road towards to the entrance we reached the self registration booth, paid our dues and headed into the park, however we were then completely surprised to find around one of the bends an area to deflate and reinflate the cars tyres, complete with air hoses!!!!! 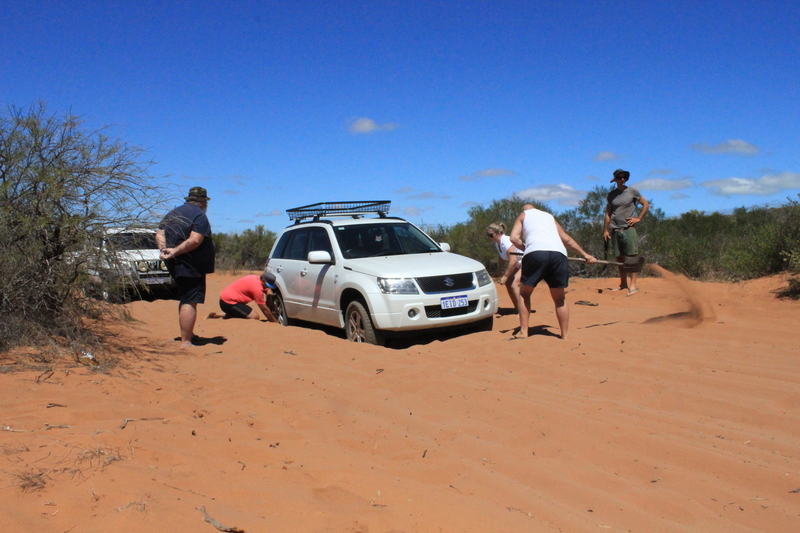 We thought it was quite proactive of the Department of Parks and Wildlife as basically everyone stopped to let down their tyres. 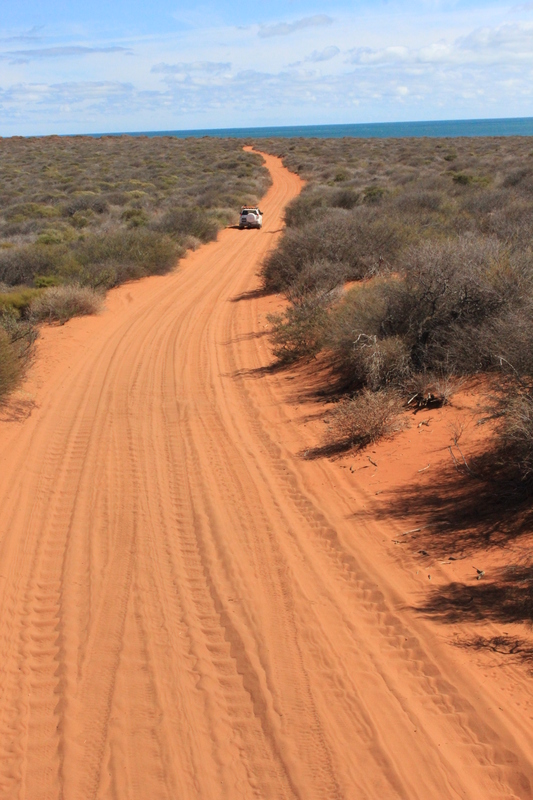 After our short stop we started to comfortably cruise on into the park, the driving was fairly easy, through lots of red dirt, red sand and hard salt pans, which we thought would have been quite slippery after a bit of rain!! Straight down the guts of the park!!! Not far from our campground we had to stop on the road as a group of young women had decided to head into the park, in their little Suzuki, for some snorkelling and had proceeded to get bogged in the deep sand all the way up to their axles……… So out Nik, Simon and I hopped, Nik and Simon got straight into some digging with someother guys that had stopped, while I of course took some photos. 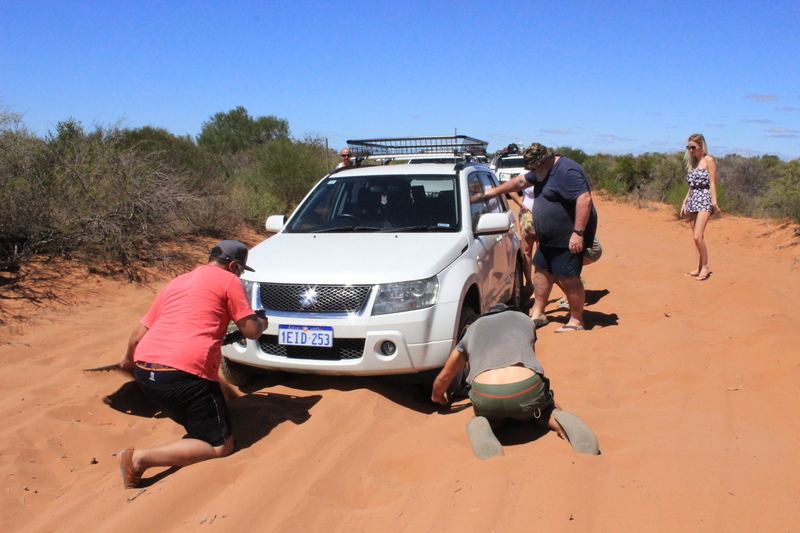 The girls were very embarressed, but after some digging and 4WD driving instruction from us they mangaed to pop out of the sand, as we yelled at them to keep going, don’t brake!!!! 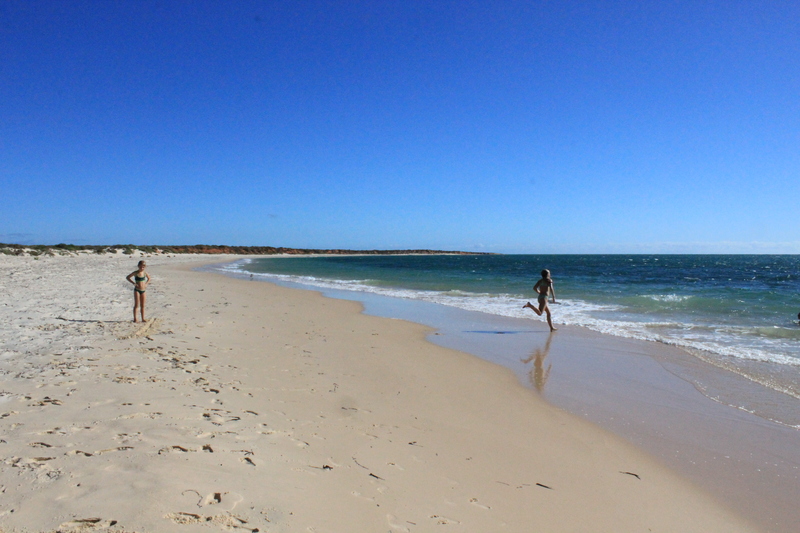 So we assume they made it out for their snorkel and hope they then made it back, as we never saw them again after that. The girls were bogged good and proper!!!! 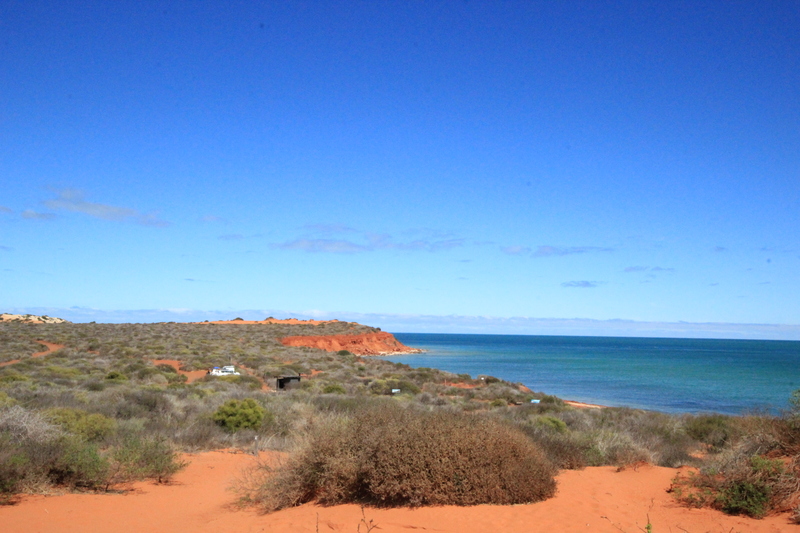 Finally we arrived at our camp for the next 2 nights, Bottle Bay, which was about 6km south of the tip at Cape Peron, it is a basic camp with drop toilets and as we all discussed either our site was on’ sandy dirt’ or dirty sand’…….. Needless to say, whatever it was, afterwards it took a few loads of washing to get it out of the kids clothes!! 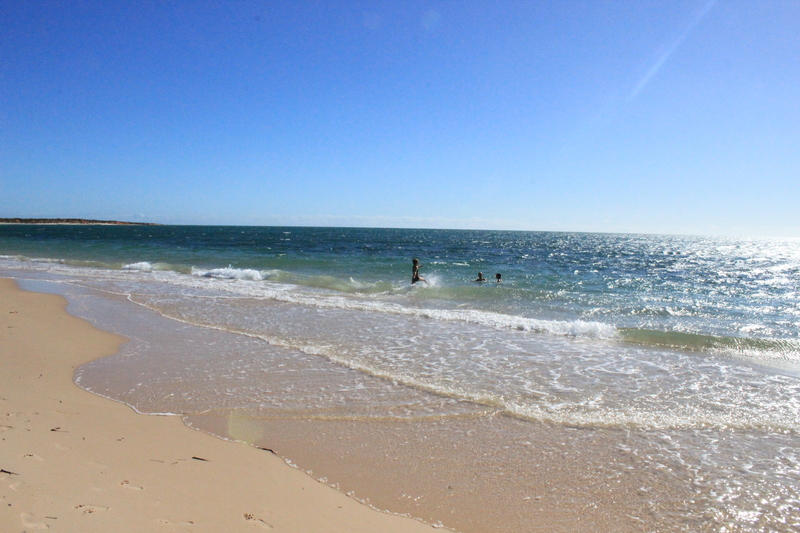 We spent the rest of the afternoon setting up our tents, then walked over the sand dune to spend some time swimming and fishing at the beach. Boy did we catch some fish too (well Nik did)!!!!!!!! 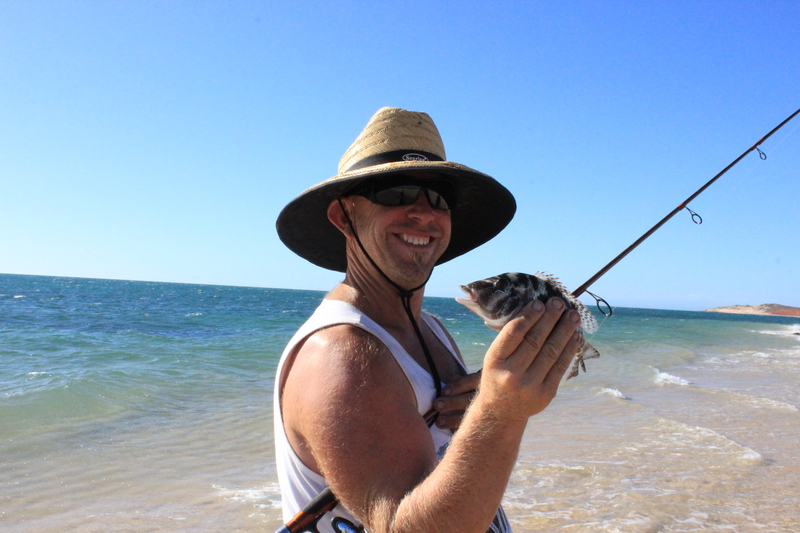 Overall we lost count of the amount of fish we caught, but due to their size we had to throw the majority of them back. 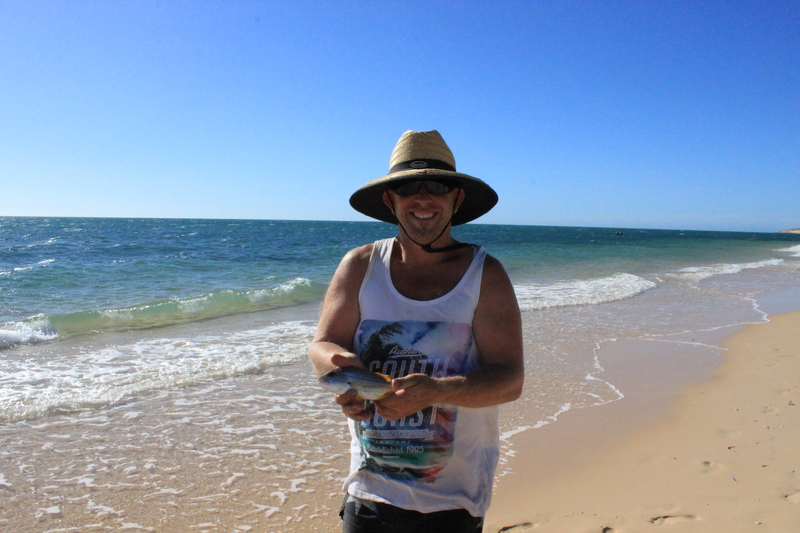 Nik with his first fish of the weekend!! 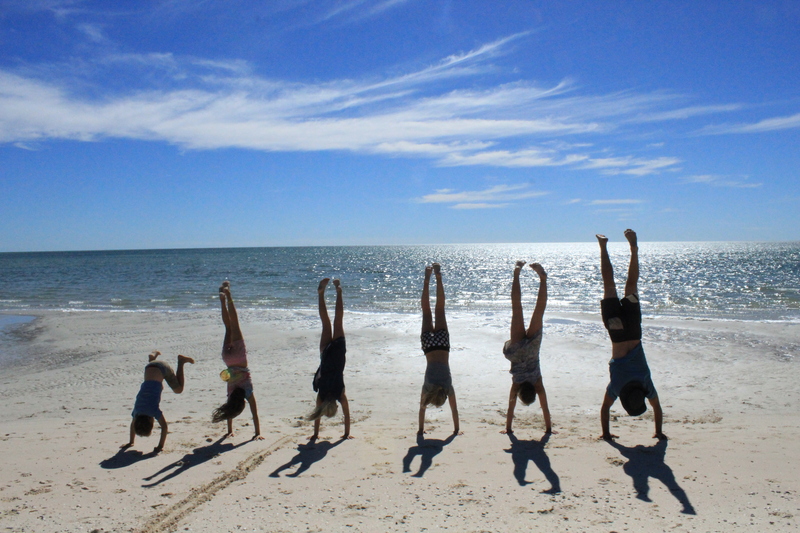 The girls doing lifesaving training at the beach!! 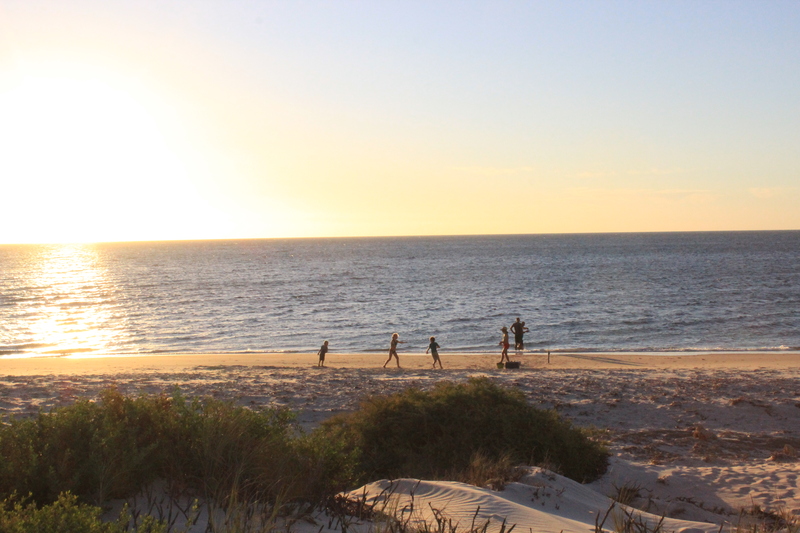 Still playing at the beach as the sunset. 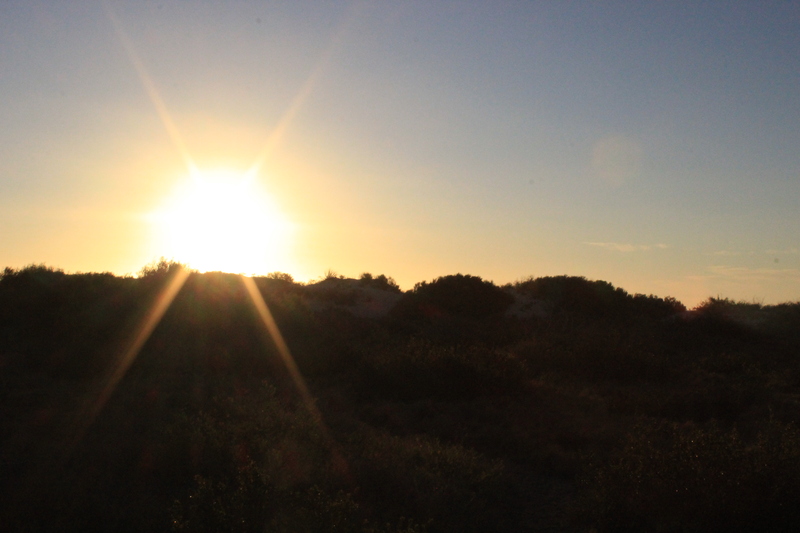 Sunset over the dune to the beach. 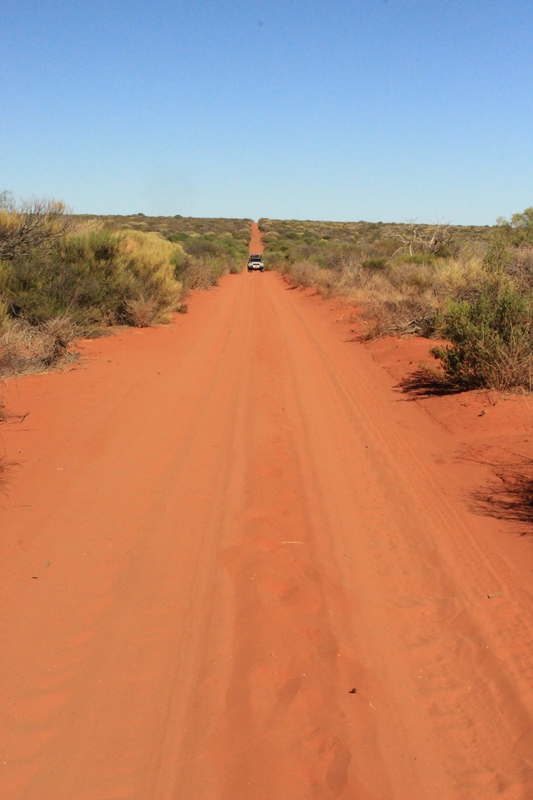 The red corrugated road up to Cape Peron. 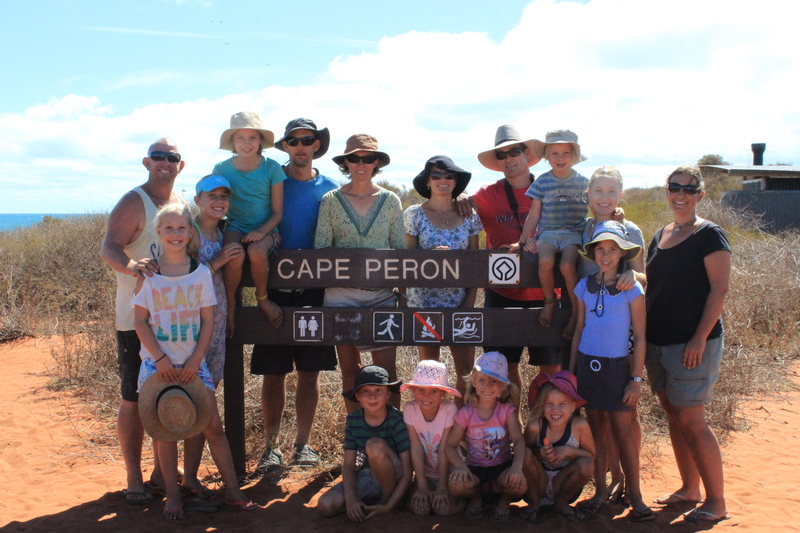 The Smith, Leeds and Mol crew at Cape Peron. 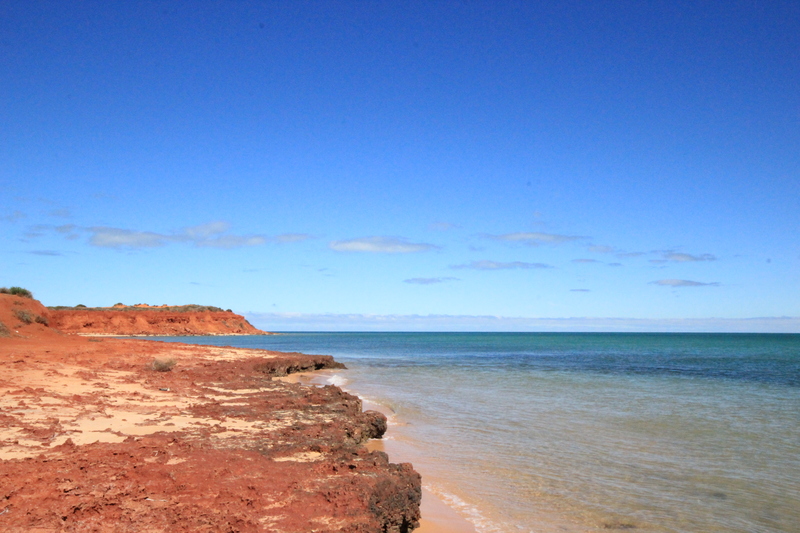 Red dirt and blue ocean. The colors along the cape and walking trail are amazing. 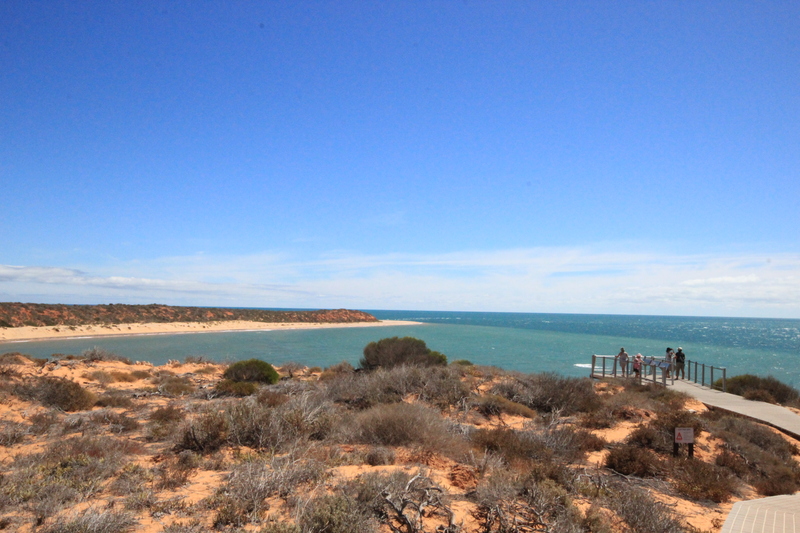 The walking trail to Skipjack Point. Along the walking trail looking at Skipjack Point. More views from Skipjack Point. 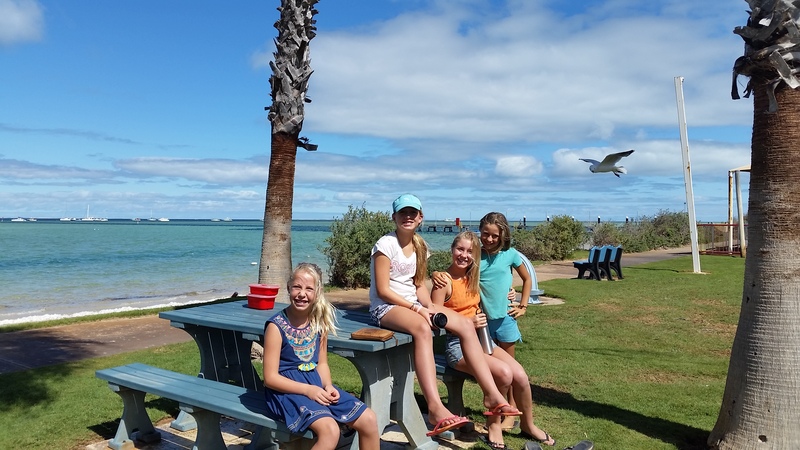 It didn’t take us long to arrive at Skipjack Point, we walked along the lookout platform searching intently, as apparently on a good day, sharks, dugongs, turtles, manta rays and dolphins can be seen swimming in the waters below. Try as we might though we were only able to spot a decent ray, however we were pleased with that, then we turned our attention to locating a geocache that was hidden nearby. 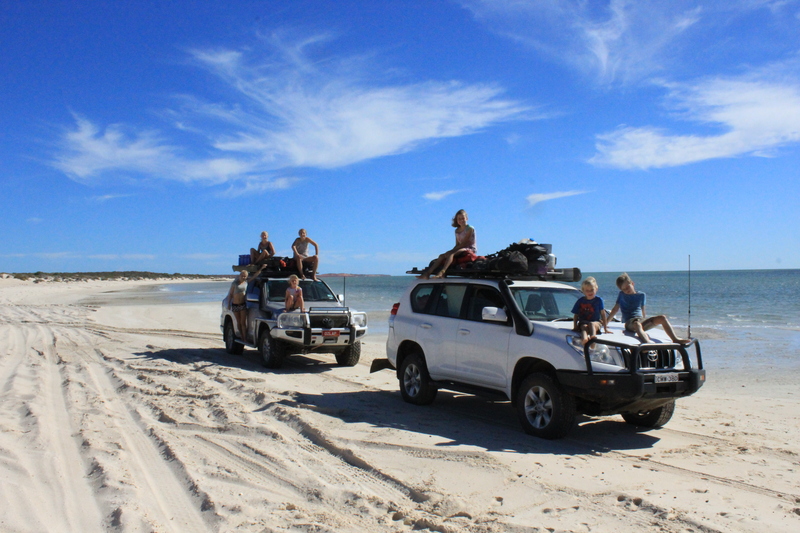 After succesfully locating the geocache, we headed back to the cars and drove back down the cape past our campsite towards South Gregories beach. After some lunch we went for a swim in our thongs of course as apparently stone fish like this area…… we didn’t last too long on the water as one of us noticed a rather large ‘fish’ jump out of the water just up from where we were swimming. 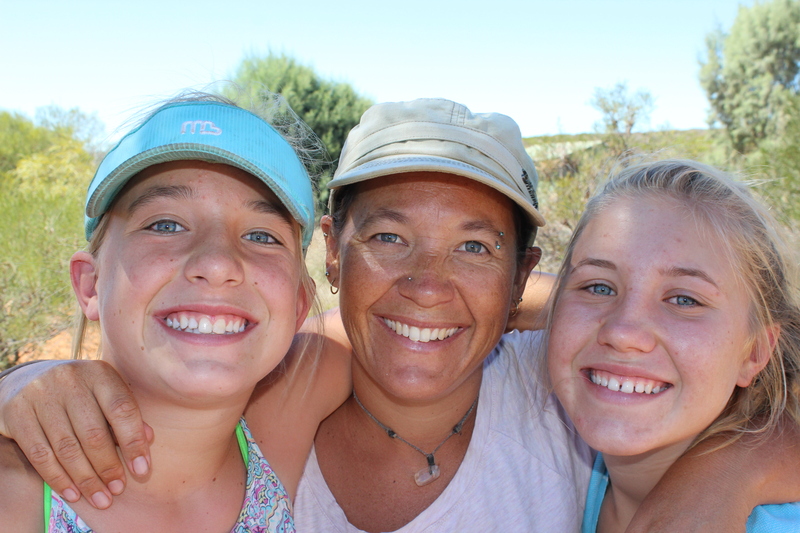 As it was getting late in the day, we said our goodbyes to the Mols, who were staying in Denham, and headed back to camp to spend the next couple of hours fishing, swimming and simply having a ball. 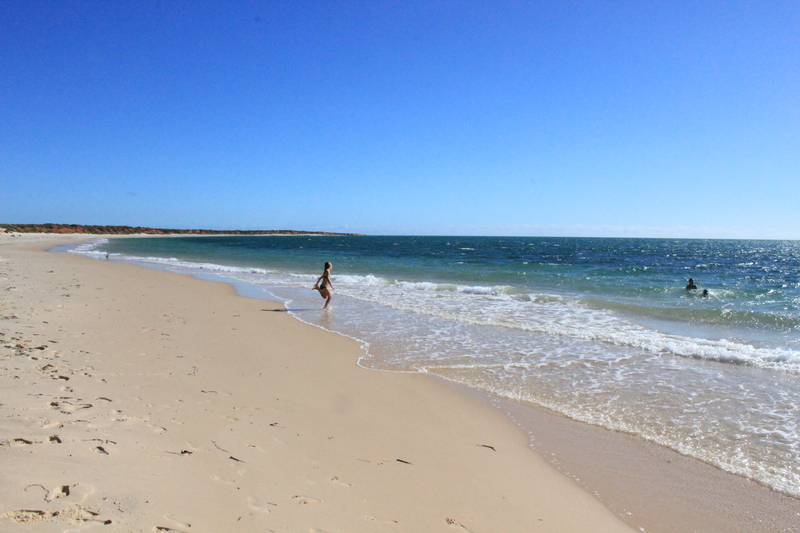 The beach at Bottle Bay campground. 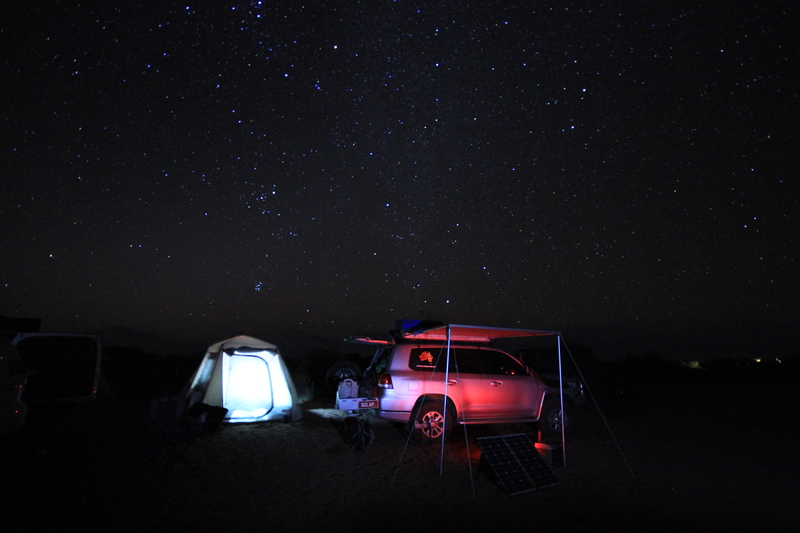 Awesome stars over our campsite. 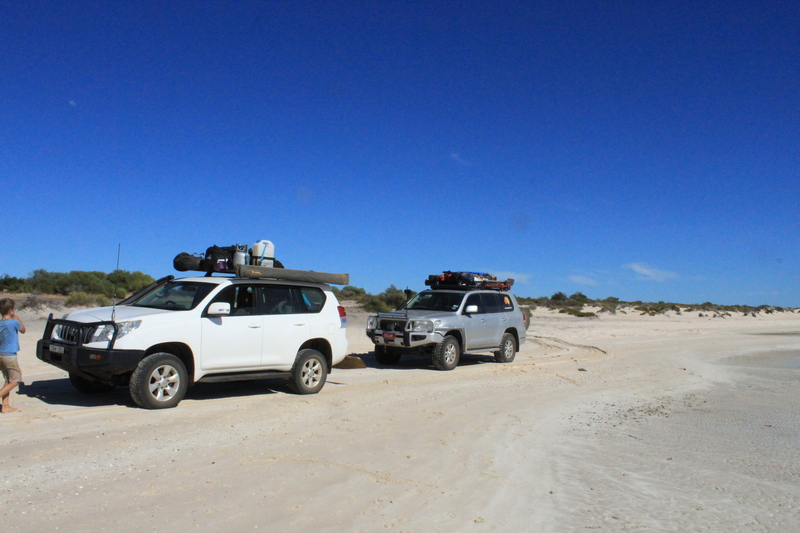 After another peaceful sleep and gorgeous sunrise we rose with the birds, enjoyed some breakfast then packed up and were back on the sandy track heading south, firstly towards ‘Herald Bight’, a really nice beach on the western side of the peninsula, protected from the southerly winds. 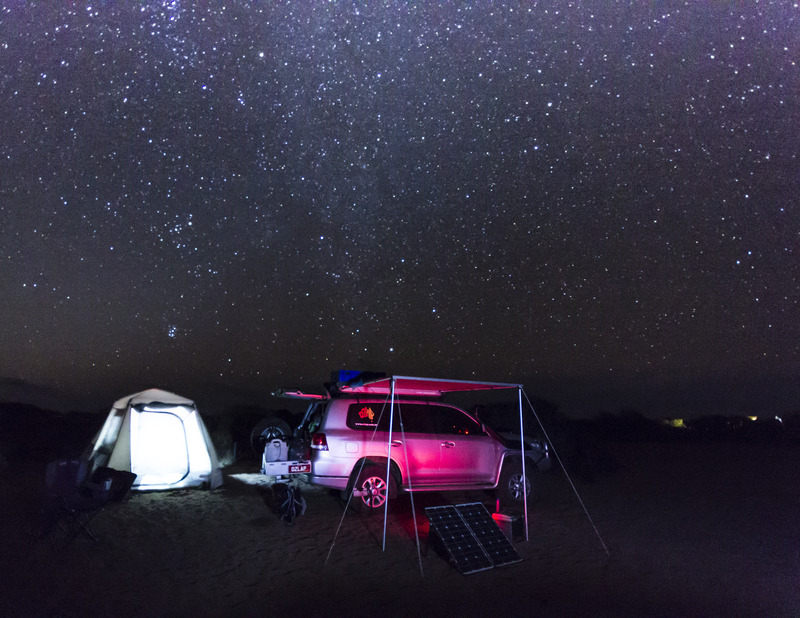 It was a beautiful spot and would have been awesome to camp there, however going by the tyre marks in the sand, a lot of peoplpe over the weekend had thought the same!!! 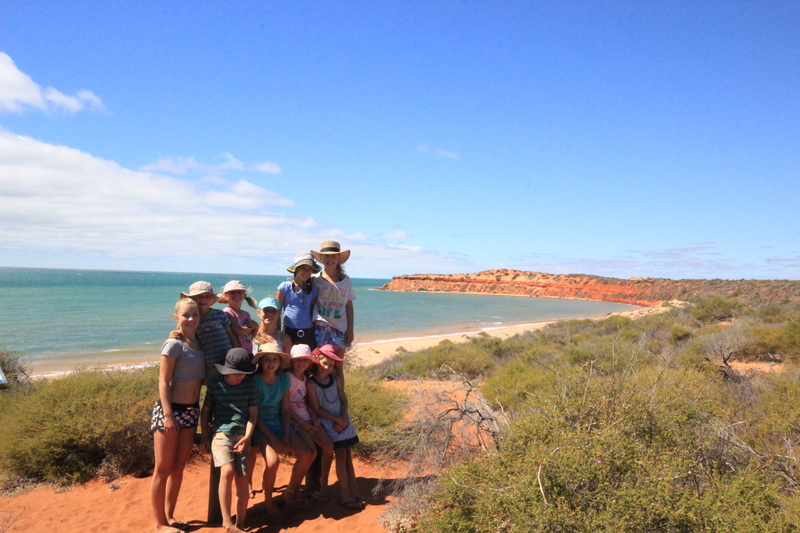 After some usual photos of the kids and the cars we then set off for our last stop in the park at the Peron Heritage Precinct. Silverfox and White Knight at Herald Bight. 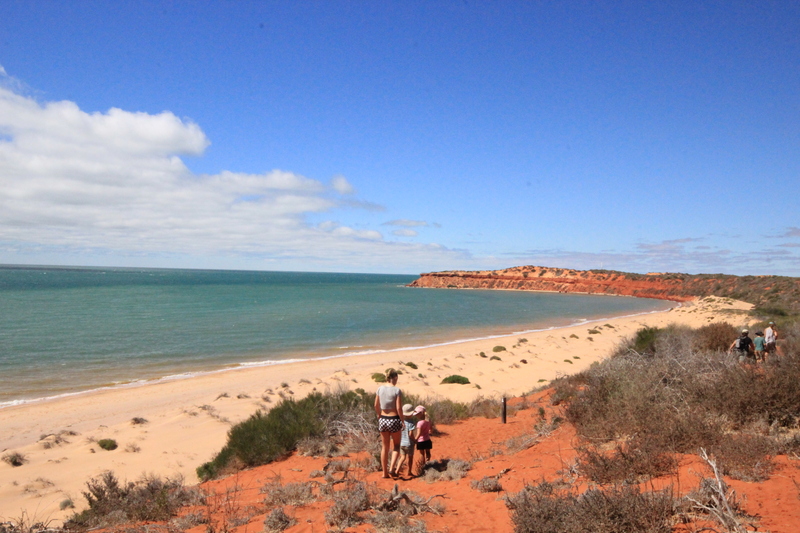 The Smeeds kids at Herald Bight. Whats the first thing you do when you hope out of the car? 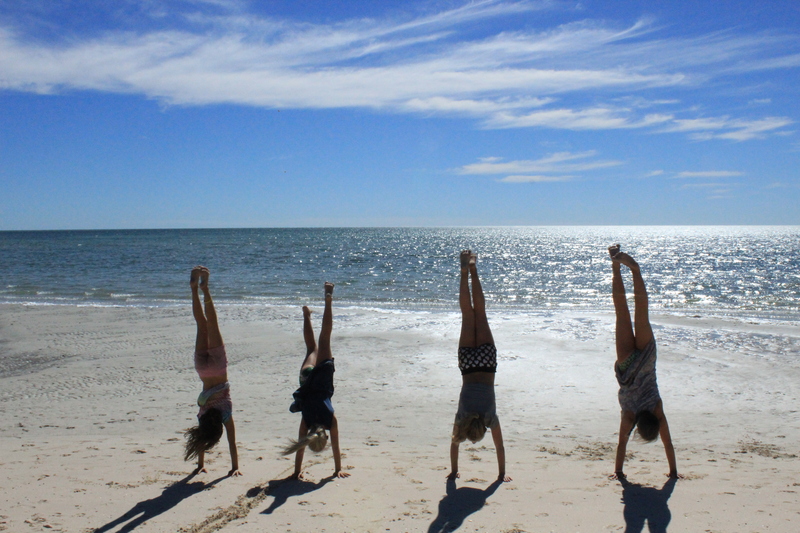 Handstand competition of course!!!! 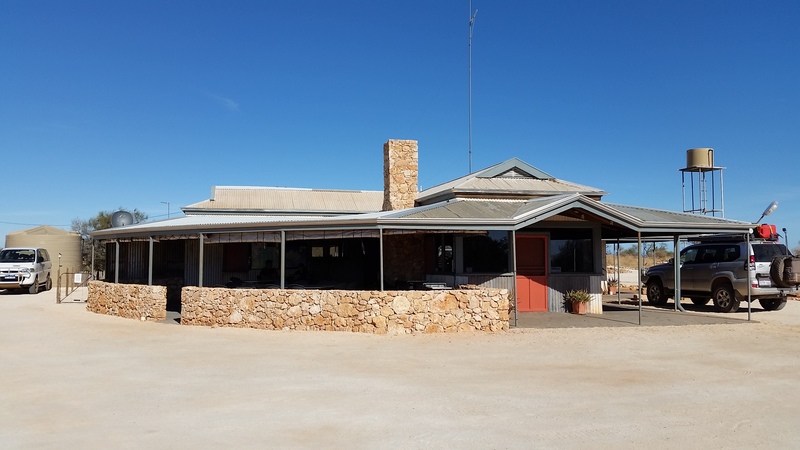 The Peron Heritage Precinct is a great historical site with interactive displays highlighting the many indigenous animals, as well as a walk through the old shearing shed. However, we had read up about this place and made a bee line straight for the picnic area and the hot artesian spa. After some morning tea, we decided to brave the boiling water of the spa, with only Leah and the kids getting in as it was so very hot, in and out!!! 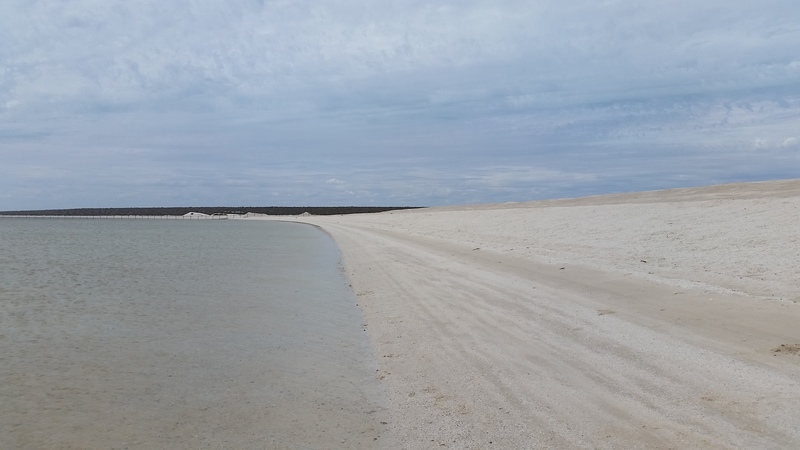 After tracking down yet another geocache we headed back to the cars and to the reinflation parking bay, to make our way into Denham to spend a few hours lazing away on the foreshore and jumping off the jetty. 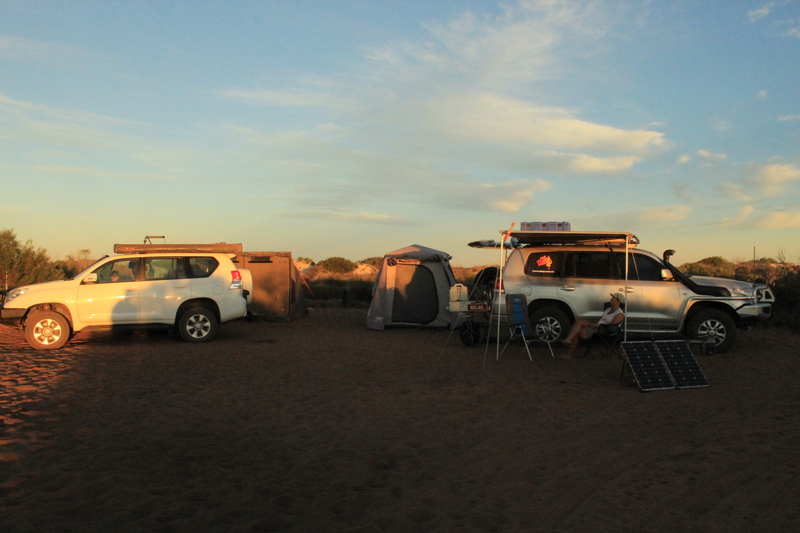 We had a great time in Francois Peron National Park, the fishing and scenery was great, however as always it was nice to get back to the van and the showers and think about where our next destination and adventure on our OZLAP will be……………….. 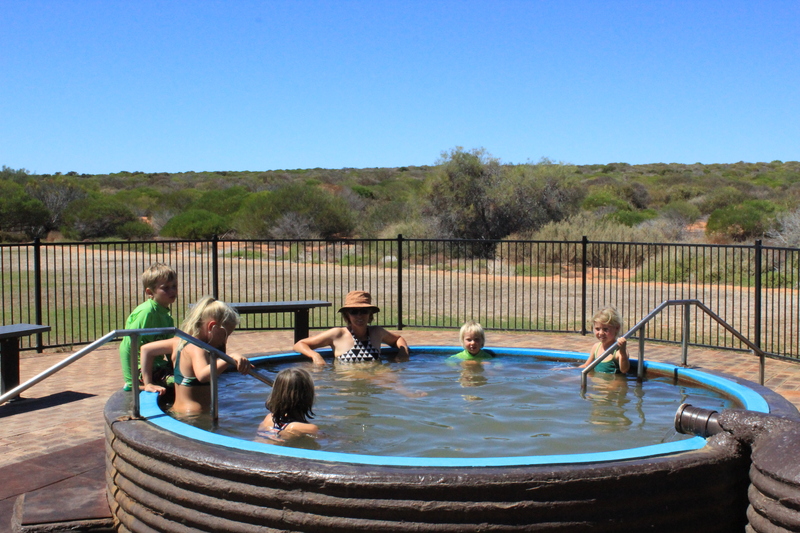 Hot springs tub at Peron Homestead. Zoe enjoying the hot springs tub. 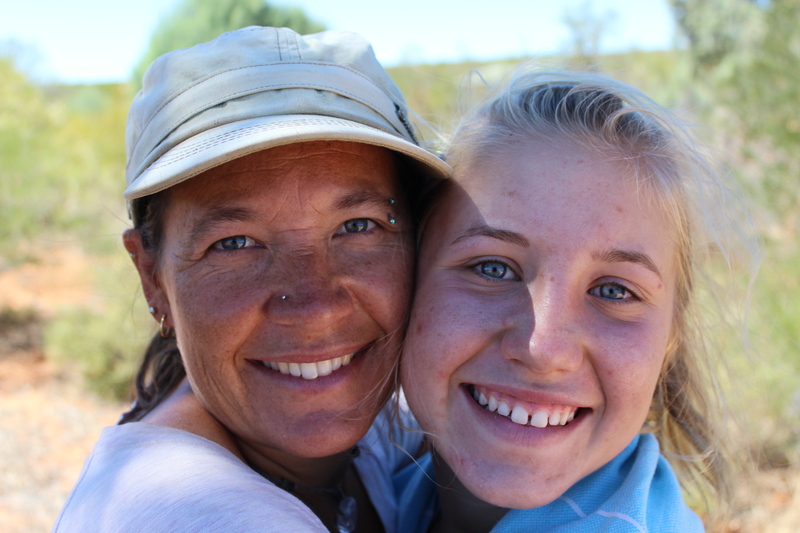 Bec and Amy and Peron Homestead. Zoe, Amy and Bec at Peron Homestead. Yet again another swim, this time at Denham.